When I was in my early 20s, I wouldn’t dream of owning kitten heels. Why would I choose such a dinky little heel over elongating skyscrapers? Now that I’m a little older, sartorially wiser, and a lot more practical, kitten heels have become my essential shoe of choice for work, running to meetings, and day-to-night activities. Not only do they look chic, but the newest iterations are not your grandma’s kitten heels. In fact, mini heels were seen all over the S/S 18 runways with designers like Bottega Veneta and Marni giving them a major makeover with prints, texture, and embellishment. And if you’re a minimalist at heart, there are plenty of simple yet sophisticated options that look just as great with jeans as they do with a midi skirt or dress. It’s time to start a very beautiful friendship with these chic (and comfortable!) kitten heels below. Wear them in spring's It color of the season: lavender. Available in sizes 35 to 39.5. How adorable is the bow? A neutral color you can literally wear with everything. Available in sizes 8 to 11. Stay warm in part sock, part pump. A unique addition to your closet. Jazz up your jeans with a pom pom. Opt for black suede mules for ease and versatility. The spring is all about the transparent trend. 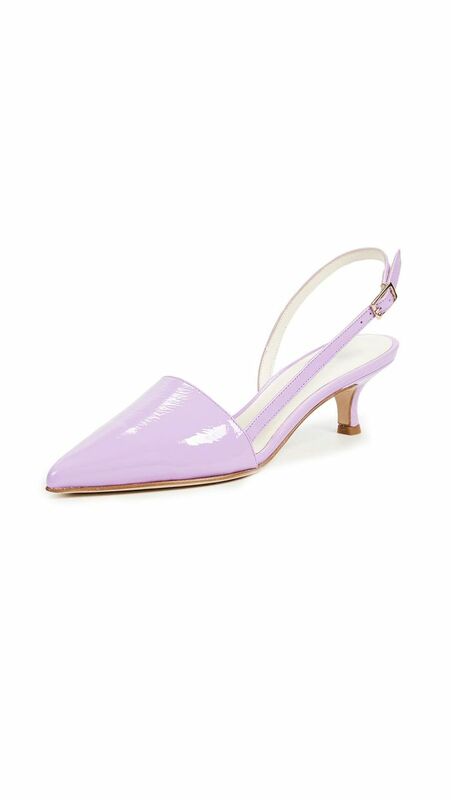 How can we say no to satin pink kitten heels? We think Carrie Bradshaw would approve. Simple yet striking white kitten heels look modern and fresh. The warm weather can't come soon enough! Brighten up your wardrobe with these bold yellow sling backs. Animal prints are huge for the upcoming seasons. If you haven't got yourself a pair of white boots yet, may we suggest these. Available in sizes 38 to 39. Patent pink for the spring win. 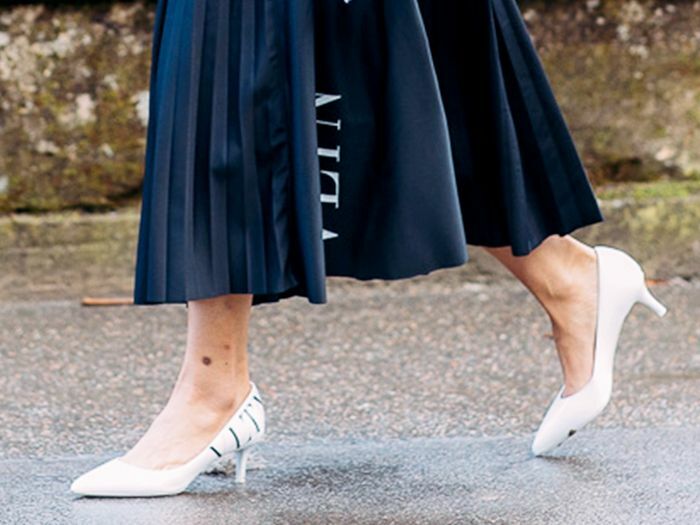 Check out more of our favorite kitten heels for spring here.